Are we primarily determined by nature or nurture? What are the best ways that people can live productively? 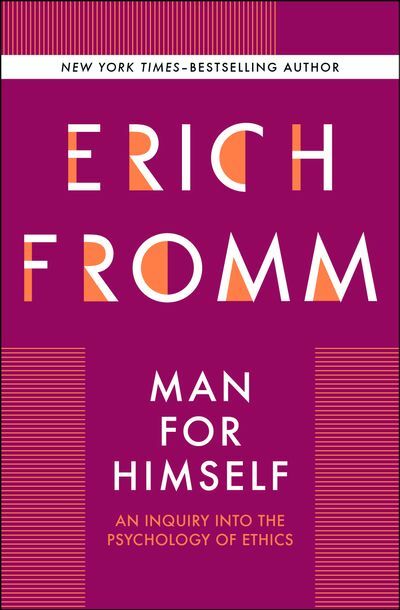 In Man for Himself, renowned social philosopher Erich Fromm posits: With the gifts of self-consciousness and imagination, any individual can give his or her own unique answer. This answer is rooted in our human nature, and should correspond to mankind’s powers of reason and love. Therefore, Fromm reasons, “living itself is an art.” In his humanistic concept of man, Fromm describes various character orientations that are to be found in Western culture. For the first time, Fromm analyzes the parallels between economic concepts of market value and how we value others and ourselves—the idea of personality as a commodity. He argues for a return to humanistic ethics, and discusses issues such as the question of conscience, of selfishness and self-love, and of pleasure and happiness. This ebook features an illustrated biography of Erich Fromm including rare images and never-before-seen documents from the author’s estate.